Choosing a garage door that complements the style of your home can be daunting, especially with so many options to choose from. 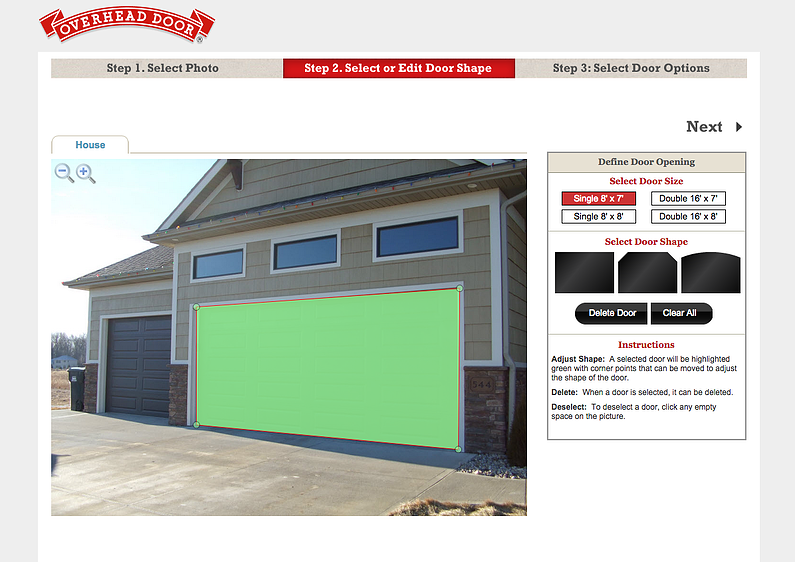 To help, Overhead Door of Sioux City and Yankton offers what we call DoorView, an online visualization tool that allows you to select various garage door options and see how they would ACUTALLY look on your home. You can “visualize” in 3 easy steps. Step 1: Select Photo – One of the highlights of the DoorView Design Center is the ability to upload and alter a photo of your actual home. This allows you to match any of our options, including collection, color and panel design, to you home’s architectural style. If you don’t have photo of your home to upload, no problem! You can always browse our photo gallery and select a photo with a similar design and garage door opening. If your garage door is visible on Google Maps Street View, you can always pull a photo from there, too. Step 2: Select or Edit Door Shape – Once you’ve uploaded a photo, there’s one more thing you must do before you can start designing. In Step 2, you will be asked to define the door opening and shape. This allows the options that you add to accurately match your home. Step 3: Select Door Options – Now comes the fun part. 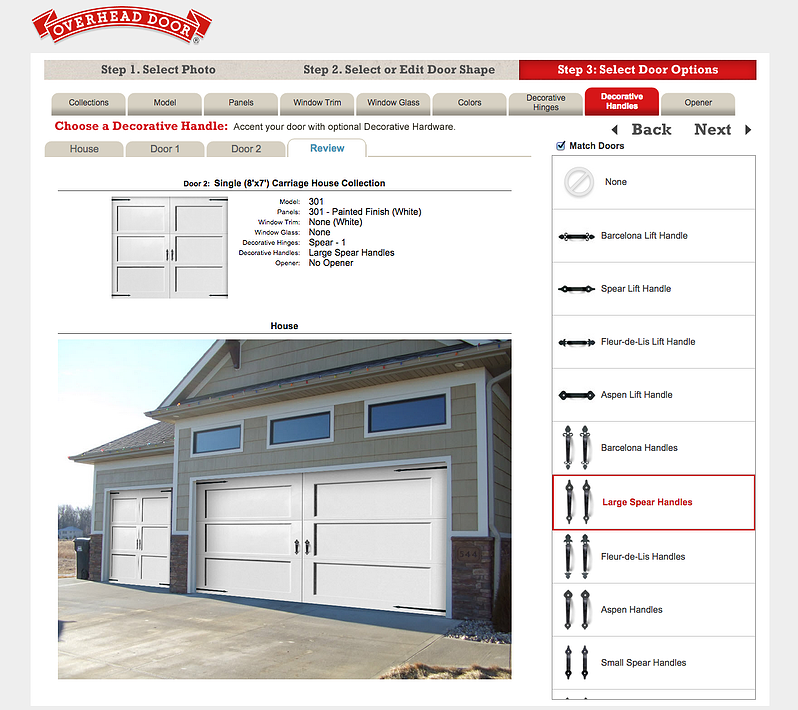 See which options look best on your home by selecting form our entire line of residential garage doors. Match door collections with panel designs, windows, color and decorative hardware. You even have the option to choose the garage door opener! Once you’ve made your selection, you can email or print your project specifications. You can also share your project on Facebook to get feedback from your friends!